Hats off to all the moms and dads out there trying to juggle parenting while taking care of their chronic illness! As someone who has spent the last 15 years doing just that, I can attest that it sometimes feels like two full-time jobs, even when my health is pretty stable. But I think one of the hardest parts is when taking care of myself means disappointing my kids. “Hey Mom, want to go on a hike this weekend?” Sorry, I don’t think I’m up to it. “Want to help me with my garden, Mom?” Sorry, I don’t think my lungs would like that. This really hit us full force recently when, after elderly pets passed on, we finally granted my daughter’s long-standing request for a kitten, and my asthma went through the roof, sparking more serious complications with my other chronic lung condition, cystic fibrosis. Now, when I try to look at it rationally, of course my health takes priority over her having a kitten. I mean, she needs a mom more than a kitten, right? 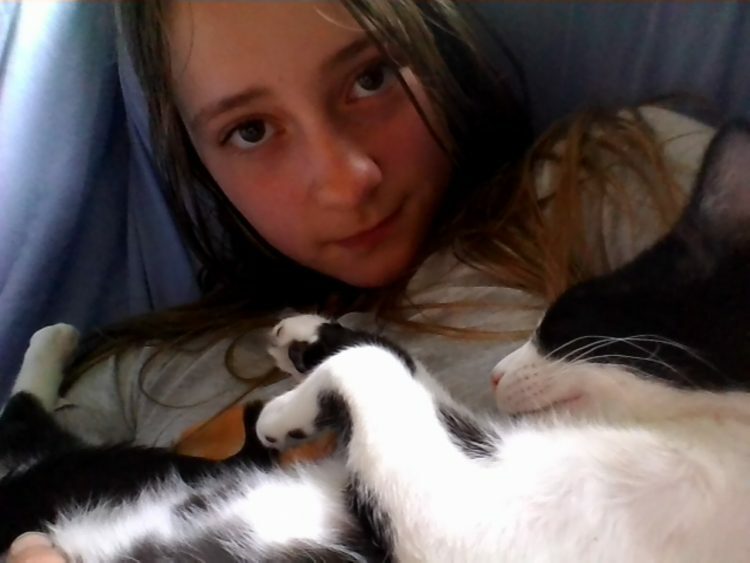 But this is an 11-year-old animal whisperer who had longed with all her heart for a kitten for as many years as she could tell us so. We’d said no to her plaintive requests for new pets more times than I can remember. And then we finally granted her fondest wish, and I had to take it away. 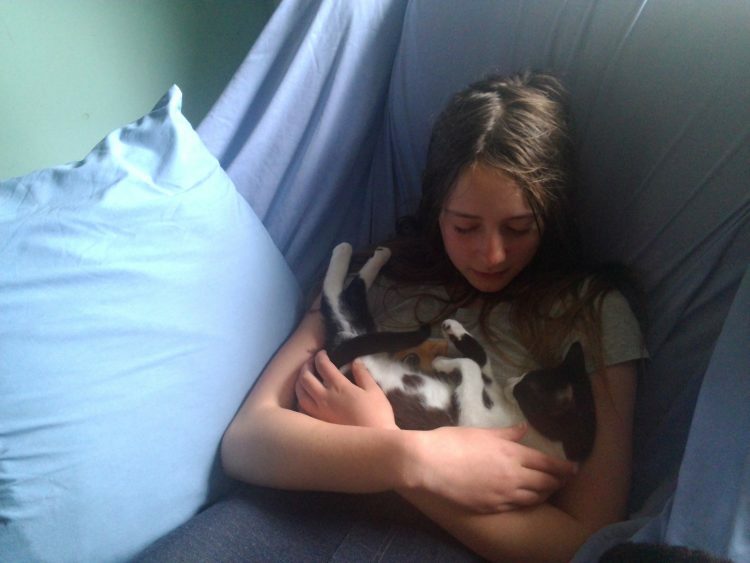 The kittens went to a good home, but how to come to terms with breaking my daughter’s heart? I activated my whole support network for help – multiple health care providers and social workers who help me cope with the physical and emotional costs of my illness; friends and family offered much-needed support, too. Two people in particular shared insights that have really stuck with me. One, my counselor suggested I help my daughter see my illness as something separate from me, her mom, and that we could both be angry at it, or sad about it, together. Not adversaries, but on the same team, trying to get through this together. I’ve been sitting with both of these pieces for a while. Practicing letting myself and my daughter grieve and rage about my illness when we need to, and also trying to accept that ultimately, no one else can truly take care of me but me. And maybe that’s all OK – disappointing my kids, feeling sad or angry sometimes, but always coming back to learning to take care of myself. Maybe that’s actually the best lesson I can share with my kids after all. As a mother of two in Portland, Oregon, Sarah Nuxoll hopes that through sharing about this absurd and wondrous rollercoaster of life with chronic illness, we can all let ourselves relax a little and actually enjoy our lives, no matter what. Connect with her and her emotional wellness workshops and podcasts at www.welcomewithlovefamilycare.com.